The Independent School Bursars Association (ISBA) hosts an annual members only two-day conference every year in May. The ISBA Conference attracts over 400 bursars and senior management staff from member schools and around 140 exhibitors. This year the event was held at the Brighton Centre on the 8th and 9th May.  I caught up with Alice McLaren, Business Development Manager for Beautiful Schools, to find out how the event went. Hi Alice. So, now you have had a few days to recover. Tell me about ISBA. How did your day start? Alice: We started by setting up the stand. We were representing three different brands – Beautiful Schools as well as School Trunk and UniWiz, so it was a bit of a squeeze to get them all looking good on the stand but I think we did a fairly good job. It was then a case of waiting for the delegates to start arriving. Unfortunately, our placing this year was upstairs at the back so it took some time for delegates to reach us. It was a slow start but as the day progressed, more people ventured upstairs and more people purposefully found us which was really lovely. You ran a competition at the event. What was that about? We had four pictures of schools in our collection, all being used for various things: We had a picture of Rugby School being used as an outdoor concert venue, a picture of South Hampstead High School’s rooftop terrace, Wells Cathedral’s new concert hall which is an amazing new building and we also had a picture of the classic Harrow hat at a breakfast layout. The idea of the competition was to get people to look at schools in a very different light. But also, it’s a bit of fun to guess it with a nice bottle of champagne at the end as a cool prize to win. How many people guessed it right? I see. There was some cheating involved? I wouldn’t say cheating. Just some helpful hints now and then. Interestingly, a lot of people saw the view from Southampton High School as Bristol but I think everybody, when it came to Harrow, had the hat down. So, on average it was probably 2 out of 4 correct. But we had the select few who had a natural gift. Were you just meeting schools you were familiar with or were there new ones too? There was a really good mix of both. There was also a surprising number of Australian delegates: they were all really lovely but unfortunately, at the moment aren’t part of our target market. We saw a really good selection of schools that we already have relationships with, schools we have maybe spoken to but it hasn’t progressed much further and then a good selection of schools that we had never spoken to before. What worked really well was, the founders of Beautiful Schools, Dorothy and Chelsea, co-wrote a letter, hand-signed it and sent it to all of the delegates that were coming. A lot of the delegates came up to us, with the letter in their bag, looking for us which was really lovely. It obviously had a big impact. Beautiful Schools is very much about the personal touch so this set the tone. What was your biggest learning point from the two days at ISBA? My biggest learning point was probably how perceptive people are becoming to the various uses of their schools. Are they more open to it now than a few years ago? I think so. 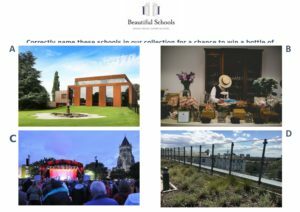 One of the main hurdles we had at ISBA was, with our branding being Beautiful Schools, a lot of people come up to me and said “Our school isn’t particularly beautiful”. It’s important schools understand it’s not necessarily that the school is a listed building from the 1600s. Actually, Beautiful can cover so many different areas and schools are beautiful in so many different ways. Every school has a unique character, a purpose and the ability to really sweat the assets they have. It was fascinating to see people come around to the idea that actually, maybe there is space for or opportunity within their school. They don’t need to be comparing themselves to the Harrows and the Tonbridges. Every school has beauty to share. 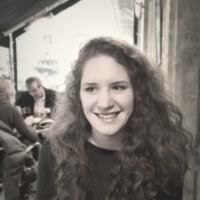 What was the hardest thing about ISBA? Standing up for so long! Did you wear the wrong shoes? The first day, I made the classic mistake of putting on a pair of heels and, although maybe I looked great, it really wasn’t worth it! On the second day, Chelsea and I actually swapped shoes because she had made the mistake of bringing heels and couldn’t manage to the full day. We had a good rotational system going on! It’s also really important at these conferences to not come across as overly pushy. We really want to start off with a good relationship with everybody that we build relationships with. It’s sometimes a case of getting over that initial hurdle of speaking to you and being open to what you’re about. It will be further into next year now. For Beautiful Schools, ISBA seems to be the big one. With School Trunk and UniWiz, we are looking at doing the Deputy Heads Conference as well.